I’ve always been an avid reader but recently I’ve been on a reading kick and have become a huge fan of the ‘BookTube’ community on YouTube. I’ve also noticed that a few of you are interested in the books I read and would like to know which books i’d recommend. At the moment I’m so busy that when I do read, I tend to gravitate towards light reads with enough depth to make them interesting. I’ll go ahead and shamelessly say that i’ve been reading a lot of young adult / dystopian society books. It’s all about escapism and I find these books so easy to breeze through. Follow me on GoodReads to get updates on what I’m currently reading and what’s next on my reading list. Also If you would like to recommend any new books that would be grand! The Fault in Our stars by John Green is about a girl named Hazel Grace Lancaster; who is courageous, smart and living with Cancer. She reluctantly attends a support group for young people and at this meeting is where she meets Augustus Waters. Augustus is handsome, charming and confident. (As I was reading this book I kind of imagined someone like Dave Franco playing him in the movie; that kind of effortless cool) Augustus once had a type of bone cancer which resulted in him being fitted with a prosthetic leg and was given the all clear essentially a Cancer Survivor. In what seems like a short time they grow close, share stories and memories; fundamentally cherishing each day and making the most out of life. I loved that there are moments in the book which hold sentimental value. Like the part where they sell Hazel’s childhood swing set. They particularly bond over a book called ‘An Imperial Affliction’; a book written by a man called Van Houten. The book is about a girl fighting cancer and it explores the relationships she has in her life i.e. with her mother, her mothers new partner and her hamster. Hazel relates to the main character Anna as she sees similarities in their lives. The book ends abruptly which leaves many unanswered questions. The author is also somewhat of a mystery as ‘An Imperial Affliction’ is his only published work and he’s been living most of his life as a recluse. (Think JD Salinger post ‘The Cather in the Rye’). The book has many heartbreaking tragedies; such as Hazel’s dream of meeting Van Houten being crushed but the main tragedy strikes towards the very end. I’ve decided not to spoil the ending as I think it is worth a read. I will say that the story line kept me guessing &amp; I didn’t expect the ending at all. And now for my final thoughts. I liked the style in which it was written and I liked that it felt personable, realistic and informative. The characters seemed very believable and sincere. It’s contemporary without being too modern and I can see how this can easily become a timeless read. I don’t have anything bad to say about the book except that on finding out that some of the best parts of the book; essentially the essence of the book was indeed a work of fiction; I felt robbed. I guess that just goes to show how well it was written. It was written so well that I was taken aback when I realised that the book; ‘An Imperial Affliction’ was indeed a work of the imagination of John Green and also that the type of Cancer that Hazel had had been fictionalised. I’d recommend this book to anyone who wants to read a deep meaningful book which has a touch of humour. It covers a serious subject in a lighthearted manner. This book will leave you pondering life and wanting to make the most out of it. 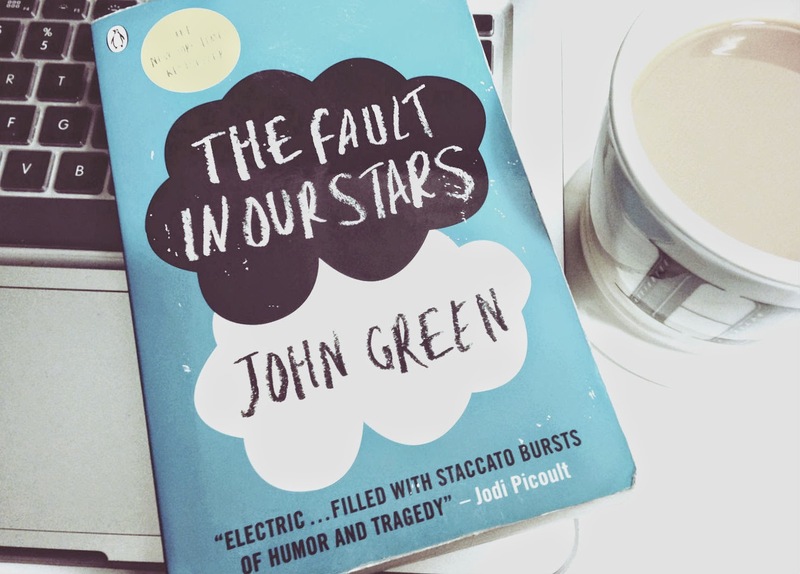 Have you read The Fault in our Stars book or seen the movie? I really liked your review and I’m so happy that I found your blog.